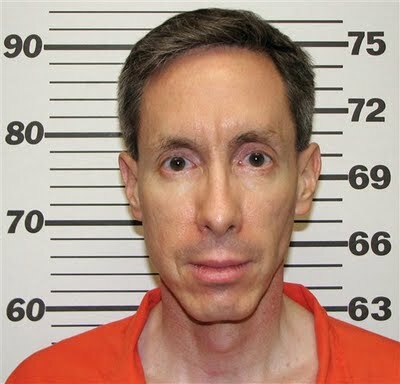 Warren Jeffs has made the news again, this time from inside a Texas prison. His phone privileges have been cut off for 90 days, which started on January 6, 2012 following an investigation by the Texas Department of Criminal Justice. They looked into whether or not he abused his phone privileges. Though his phone privileges have been revoked, he is still allowed to receive visitors. According to prison officials, calls Jeffs made out to people on his approved call list were put on a speaker by the person who received the call so he could preach to members of his church. Putting a phone call on speaker violates the rules of the Offender Telephone System. It is believed that Jeffs violated the phone rules several times, with at least two violations on Christmas Day. While the rules do not bar an offender from preaching from prison, officials state that an offender is not to talk to a group – they are limited to speaking to the one individual who is approved to receive the phone call. According to the Texas Department of Criminal Justice website, the rules for the Offender Telephone System are as follows: available from 7 AM-10 PM, 15 minute time limit, and each offender has 240 minutes a month to use. All calls are subject to monitoring and recording, except for those calls between the offender and their lawyer. No calls are allowed to cell phones, internet services, 800 numbers, businesses, pay phones, or international numbers. The owner of the telephone number must be listed on offender’s Visitor’s List. Visitors can register their number by internet (texasprisonphone.com) or by telephone (866-806-7804). The person who receives the phone call from the offender must agree to not forward calls or make 3-way calls. It is interesting to note that the rules do not specially list putting a call on speaker phone as a violation. Jeffs is the polygamist leader of the Fundamentalist Church Jesus Christ of Latter Day Saints. He was arrested following a raid on the FLDS ranch in Eldorado, Texas. His trial for child sexual assault and aggravated sexual assault on two teenage girls was held in San Angelo, Texas. He was convicted in August 2011 and received a life-plus-20-year term. He is currently serving his sentence at the Powledge Unit, a Texas prison facility outside Palestine, about 100 miles southeast of Dallas. He will be eligible for parole in 2038. Jeffs was scheduled for a trial on February 15 on charges of bigamy, but that has been postponed. If you or a loved one have been arrested or are being investigated by law enforcement, the Law Office of Dayna L. Jones at (210) 255-8525 to schedule an appointment with the attorney. Calls are answered 24 hours a day, 7 days per week.